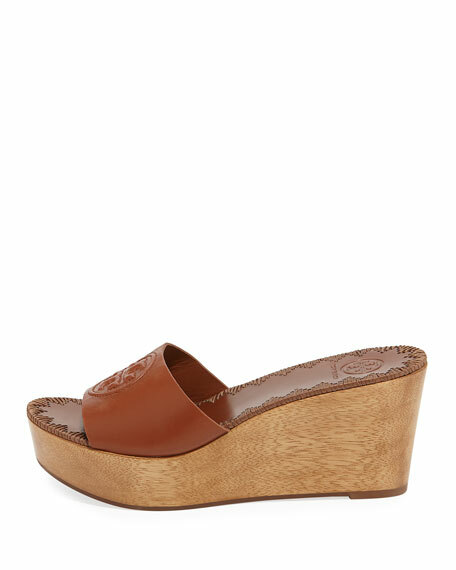 3" wedge heel; 1.5" platform; 1.5" equiv. Logo-embossed leather strap bands open toe. For in-store inquiries, use sku #2472535.